His Eminence Metropolitan Antony – secular John Scharba – was born on 30 January 1947 to John and Dorothy Scharba, the eldest of five siblings. He was baptized on 23 March 1947 in St. John the Baptist Ukrainian Orthodox Parish, Sharon, PA. He received his elementary and secondary education in the Sharpsville, PA school system and his religious education in St. John Parish. Young John began receiving a call to the holy priesthood at a very young age and was involved in the youth and young adult groups in his parish, but upon his graduation from high school, he decided to test his “call” by enrolling in Pennsylvania’s Edinboro State University to prepare for a worldly career as a foreign journalist. After two years our Lord made it abundantly clear to him that he was on the wrong path and led him to St. Andrew College-Seminary in Winnipeg, Manitoba, Canada – the only Ukrainian Orthodox Seminary existing in the free world at the time. He simultaneously enrolled at the University of Manitoba, the campus of which is the location of St. Andrew Seminary. He graduated from the University of Manitoba in 1970 with a Bachelor of Arts in Sociology and then in 1971 completed his studies at St. Andrew Seminary receiving a Bachelor of Divinity – the equivalent of today’s Master of Divinity in most seminaries. He remained in Winnipeg, having accepted an offer to become the Dean of Residence for St. Andrew College – a residence for both theology students and Orthodox and some non-Orthodox students of the University of Manitoba. John was ordained to the Holy Deaconate on 1 October 1972 by then Bishop Constantine at St. Vladimir Ukrainian Orthodox Cathedral, Parma, OH and then to the Holy Priesthood on 26 November 1972, again by Bishop Constantine, in his home parish of St. John the Baptist Ukrainian Orthodox Church, Sharon, PA. He was assigned to his first parish – St. Vladimir UOC, Ambridge, PA in December of 1972 and remained there for four years. Fr. John was then transferred to St. Michael Ukrainian Orthodox Parish, Hammond, IN where he served for the next nine years. He was very much involved with the youth of his parishes and within the Ukrainian Orthodox Metropolia. He served as Spiritual Advisor for the Ukrainian Orthodox camping program at Camp Kon-O-Kwee in Western, PA. 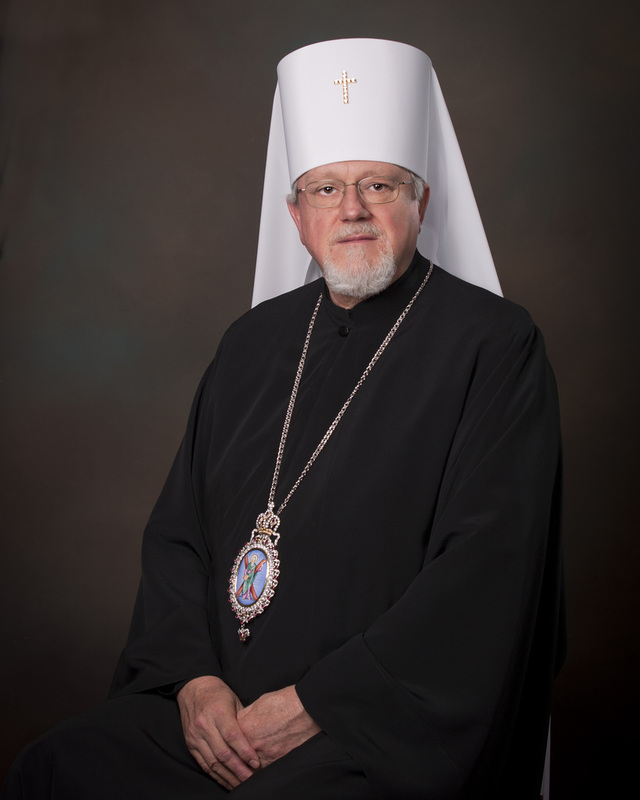 He also served for ten years as the Spiritual Advisor of the Jr. Ukrainian Orthodox League of the USA and for ten years as Chairman of the Sr. Ukrainian Orthodox League’s Clergy Candidate Commission, which administered the Metropolitan John Theodorovich Scholarship Fund in support of the Church’s seminarians. During his pastorate at St. Michael Parish, Hammond, Fr. John continued his education in the Graduate School of Theology at Loyola University, Chicago and at Purdue University in Indiana in the Graduate School of Educational Counseling, both of which enhance his pastoral ministry in very particular ways, providing insight into comparative theology and the very secular educational system of our nation, which has served him well in his parish and seminary education responsibilities. At the regular Church Sobor of the Ukrainian Orthodox Church of the USA in 1981, Fr. John was elected as a bishop of the Church. In 1982 he was tonsured as a monastic and in 1985 with the monastic name Antony – after St. Anthony the Great, whose feast day falls exactly on the Bishop’s birthday and he was then elevated to the rank of Archimandrite in May of 1983. He remained serving as pastor of his parish until 6 October 1985, when he was consecrated as Bishop at St. Andrew Memorial Church at the Ukrainian Orthodox Church’s Metropolia Center in South Bound Brook, NJ. He was immediately assigned as Rector and Administrator of St. Sophia Seminary where he served through 1989. In addition to this he assumed the Editorship of the English edition of the Ukrainian Orthodox Word, the official publication of the Church and later accepted the editorship of the finally combined Ukrainian/English publication, which exists today. Bishop Antony was asked and agreed to fill a void in the life of the Ukrainian Orthodox Eparchy of Australia and New Zealand in 1989 and served as Bishop there in addition to his responsibilities to his Church in the USA. He served in this capacity through 1997 when another hierarch from Europe was assigned to relieve him of this enormous responsibility. During his service in Australia, he was able to diligently progress toward and accomplish the unification of the two Ukrainian Orthodox dioceses that existed for decades into a single church. During these difficult years of constant travel, Bishop Antony was elevated to the rank of Archbishop by the Council of Bishops of the UOC of USA. Once Ukraine became an independent nation following the collapse of the Soviet Union and the Ukrainian Orthodox Church was reborn, Archbishop Antony has accompanied his brother bishops on many journeys to the faithful of the nation. The majority of these trips included the delivery of millions of dollars’ worth of aide of all kinds to the faithful and the need y of the nation – including religious educational materials, prayer books, medical supplies, opening of soup kitchens, aid for the rebuilding of Churches in both urban and rural village settings. The Archbishop continually reminds the faithful of his Church that their Christian responsibility means so much more than simply attending Church on a Sunday morning and making a small donation. He invites them to reach out with their physical beings to help heal those who need healing with a willingness to deny themselves for the sake of others. From 1994 to the present day Archbishop Antony has served as Vice-Chair of the Board of Trustees of St. Sophia Seminary and in 1995 he was elected by the Regular Sobor of the UOC of USA as President of the Consistory – Chief Administrative Officer for the Metropolia. He continues to serve in this capacity today. He accompanied Metropolitan Constantine when invited by the Ecumenical Patriarchate in 1994 to discussions about the renewal of the ancient relationship between the Ukrainian Orthodox Church and the Patriarchate, which dates back to the year 988, when Ukraine accepted the Holy Orthodox Faith as its own under then Prince Volodymyr the Great. These discussions led to the acceptance, on the Sunday of Orthodoxy 1995, under the omophorion of Ecumenical Patriarch Bartholomew I of the Ukrainian Orthodox Churches in the Diaspora and their hierarchs taking their rightful place at the Altar of our Lord, alongside their brother Orthodox Hierarchs throughout the Orthodox world. His All-Holiness and the Great and Holy Synod of Constantinople formally elected and ritually included Archbishop Antony in the Diptychs of Holy Orthodoxy as titular Archbishop of the ancient See of Hierapolis. One of the greatest accomplishments during this period through the combined efforts of Archbishop Antony, representing the Council of Bishops of the UOC of USA, and Bishop Vsevolod of the Ukrainian Orthodox Church in America, the two existing Ukrainian Orthodox Jurisdictions in the USA were finally and irrevocably united after decades of failed attempts. 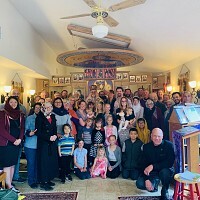 This is seen by the faithful of both churches as an accomplishment that united brothers and sisters once again – and even those of specific birth families who were separated from one another. If one would ask Archbishop Antony what he felt his best efforts accomplished, he would respond immediately that it is the division of the UOC ministry into various Consistory Offices of Ministry, led by competent individuals and volunteers. He is most emotional about his establishment in 2003 of the Orycia Federwicz and Natalie Dedeluk Orphanage Adoption Program in Ukraine, named after the two California sisters who contributed the initial grant to make the program possible. 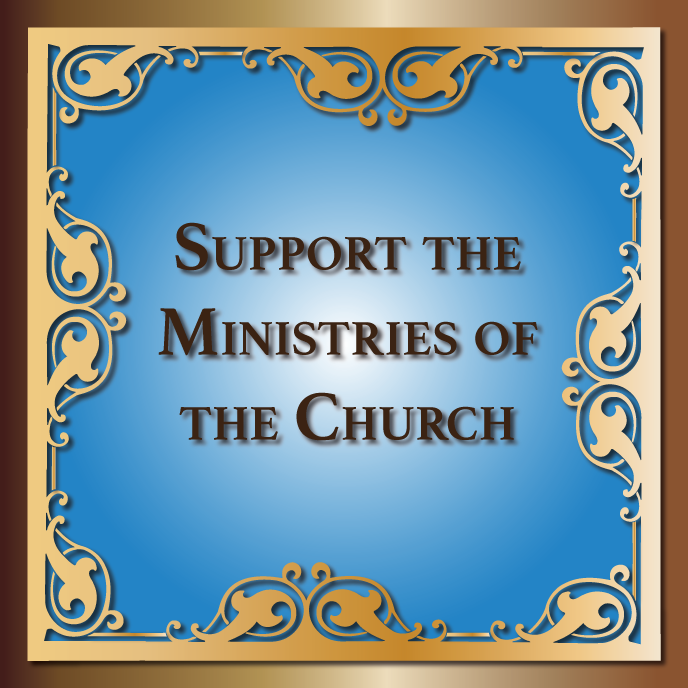 The church adopted three of the most remote and underdeveloped orphanages – with the most severely mentally and physically handicapped children who were placed there by the Soviets out of sight – and unfortunately out of mind. Each year college student missionary teams travel to visit these orphanages to renovate buildings, purchase necessary items and most importantly to interact with and love the more than 300 children living in them. The Archbishop and the Consistory he leads are now in the process of establishing a new mission effort – right here in the USA – to the people of Appalachia. The 1998 Sobor of the UOC of USA initiated the development of a new History and Education Complex at the Metropolia Center. Archbishop Antony leads this continuing project, which will include an Archive and Research Center in memory of Metropolitan Andrew Kuschak, the Seminary/Church Library in Memory of Metropolitan John Theodorovich and the Ukrainian Museum of New Jersey in Memory of Metropolitan/Patriarch Mstyslay. At the first meeting of the Assembly of Canonical Orthodox Bishops of North and Central America in 2010, Archbishop Antony was elected as Treasurer of the Assembly and heads the Committee for Financial Affairs. Archbishop Antony celebrated the 25th anniversary of his Episcopal Consecration in 2010 and will celebrate the 40th anniversary of Priesthood in 2012. During the Extraordinary Sobor of the Ukrainian Orthodox Church of the USA (October 6, 2012), His Eminence Archbishop Antony was nominated and elected as Metropolitan of the Ukrainian Orthodox Church of the USA. On Saturday, January 26, 2013 - His Eminence Metropolitan Antony was formally Enthroned as the 4th Metropolitan of the Ukrainian Orthodox Church of the USA in St. Andrew the First Called Apostle Ukrainian Orthodox Cathedral in Silver Spring, MD. In the presence of 20 hierarchs, representing various Orthodox jurisdictions of North America and representatives of Catholic and other Christian communities, His Eminence received his Archpastoral staff of the Prime Hierarch of the Church and was greeted by His Eminence Archbishop Demetrios of the Greek Orthodox Archdiocese of America, who is also the Exharch of the Ecumenical Patriarchate. Archbishop Demetrios conveyed formal and private greetings of His All-Holiness Ecumenical Patriarch Bartholomew I to the new Metropolitan of the UOC of the USA.